Here at Le Répertoire de Gaspard we pride ourselves on the welcome we give to potential recruites and the on-going support available to our employees. Many of our us have worked at the agency for several years so we are used to answering any questions you may have. The agency offers visits with one of our staff members while you are working to help and offer advice where required. These visits are a good opportunity to share any challenges you may have so we can address them together. 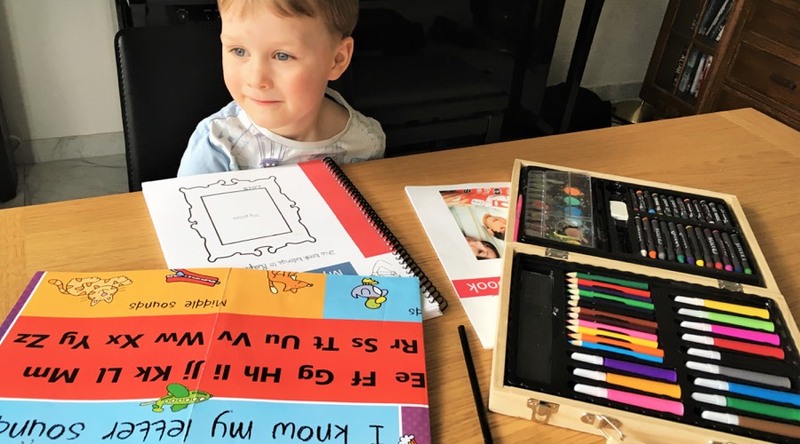 When you start working with us you will receive a goody bag with materials relevant to the ages of the children you will work with. Each week, Weekly Words will pop into your inbox giving you a theme to work too as well as suggested activity and learning ideas. You also have access to the library, full of English books, games, learning tools and our agency created resource – My Book About Me. Since Le Répertoire de Gaspard creation in 2006, we have built and developed many partnerships with international and bilingual schools and creches. Whether you are completing your full-time CAP diploma programme or have worked with us as a childcare educator, we have options available to you for the future. Speak to the recruitment team for tailored guidance and assistance to ensure we help you progress and develop your potential.